This original 1/2" thick canvas is layered with vintage papers, acrylics, pastels and charcoal. Palette knife work and reductive painting techniques. The layers and texture is rich and deep. 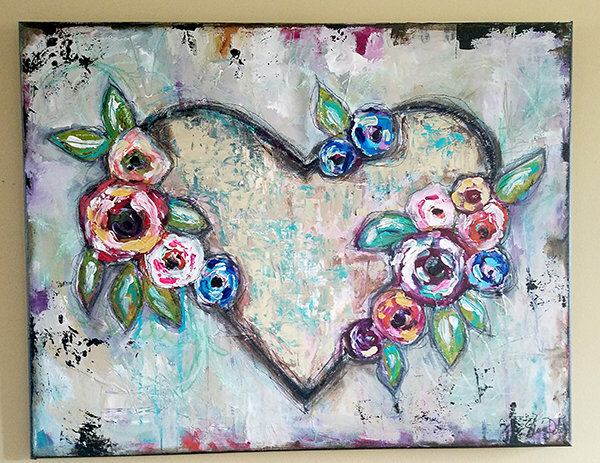 The flowers thick with acrylic and bright bold colors with a muted grungy background.